OXO is dedicated to providing innovative consumer products that make everyday living easier for young and old, male and female, lefties and righties, and anyone in between. OXO was founded on the philosophy of Universal Design, which means the design of products usable by as many people as possible. Today, OXO offers 1,000+ products covering many areas of the home, all created based on this principle. 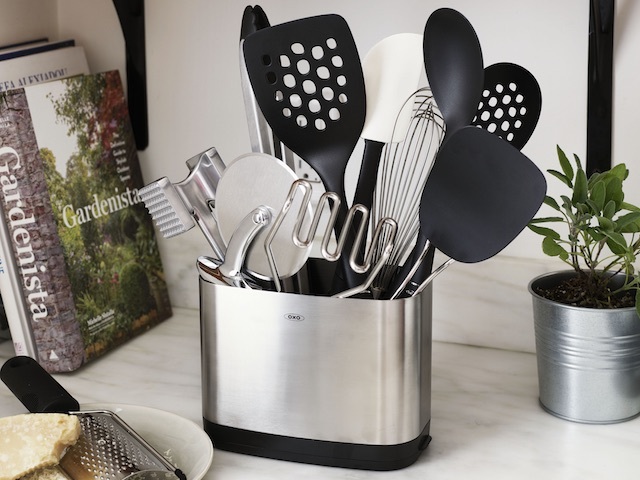 From measuring cups, can openers, utensils, barware, small appliances, storage solutions and cleaning supplies to gardening tools and travel mugs, OXO has something for everyone!